I just wrapped a four month job and I must admit, I had lunch off site much too often. I spent excess money on sit down meals instead of making my own sandwich each day. 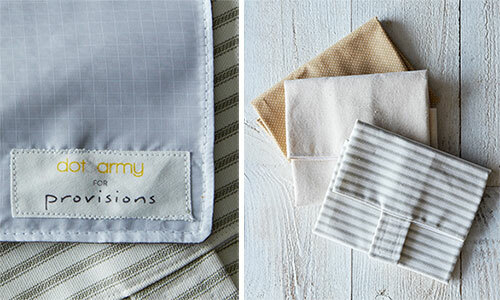 So maybe for the next gig, I'll be more motivated to make my own lunch if I buy these aesthetically pleasing sandwich wraps, via Dot and Army. 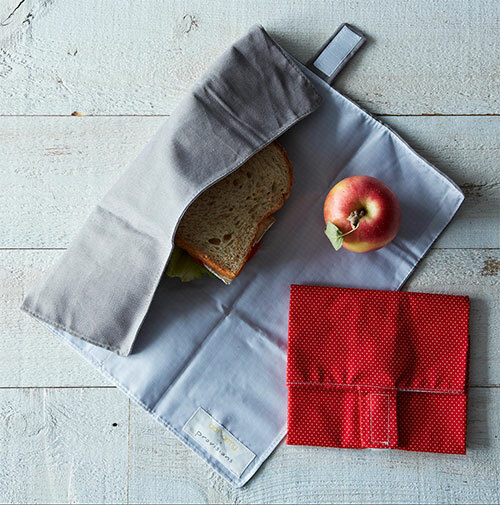 Jennifer Zamudia of Brunswick, Georgia crafted these fabric wraps exclusively for Food52. 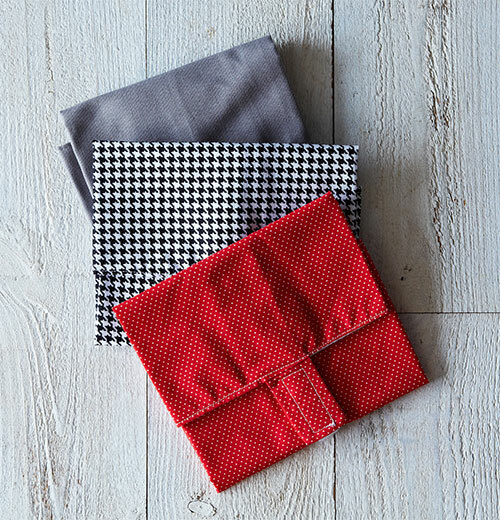 The wraps are available in black houndstooth, red pin dots, slate canvas, tan pin dots, neutral canvas and gray ticking. Simply lovely. Order your favorite trio of well designed, self motivating sandwich wraps, here.